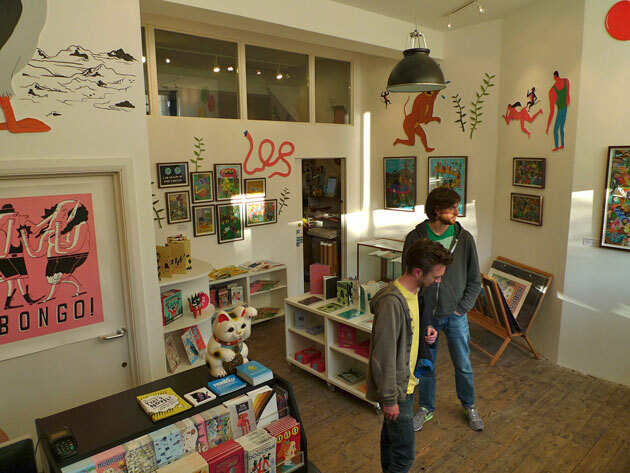 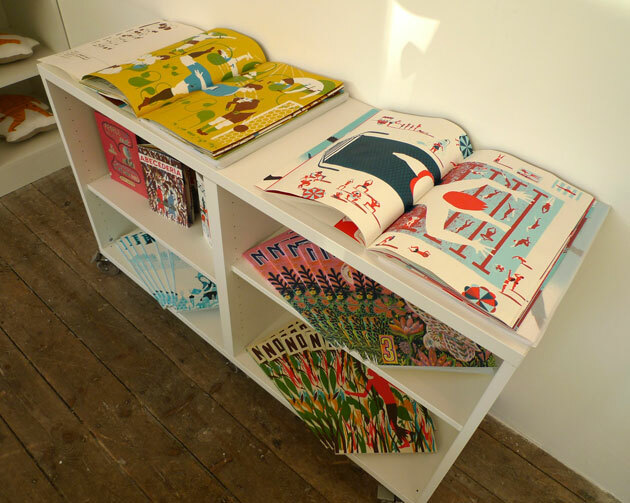 We trundled over to Great Eastern Street yesterday to have a chat to the folks at Nobrow about a rather exciting project we're working on (more on that mighty soon), and to check out their lovely shop, which opened in the summer. 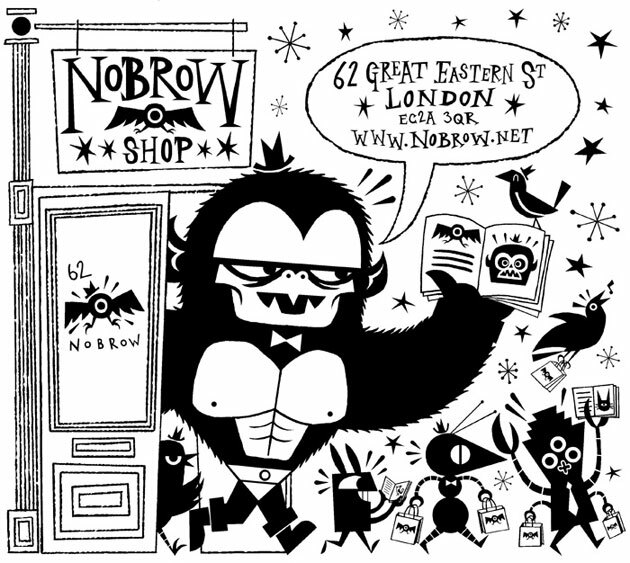 Nobrow has fingers in various tasty pies: there's Nobrow Press, the small independent publishing company which specialises in low edition illustrated books; Nobrow Small Press which creates extremely limited edition screenprinted books; a magazine (called Nobrow, naturally enough); and now the shop, which stocks all their publications, as well as a range of delicious silk-screened prints. 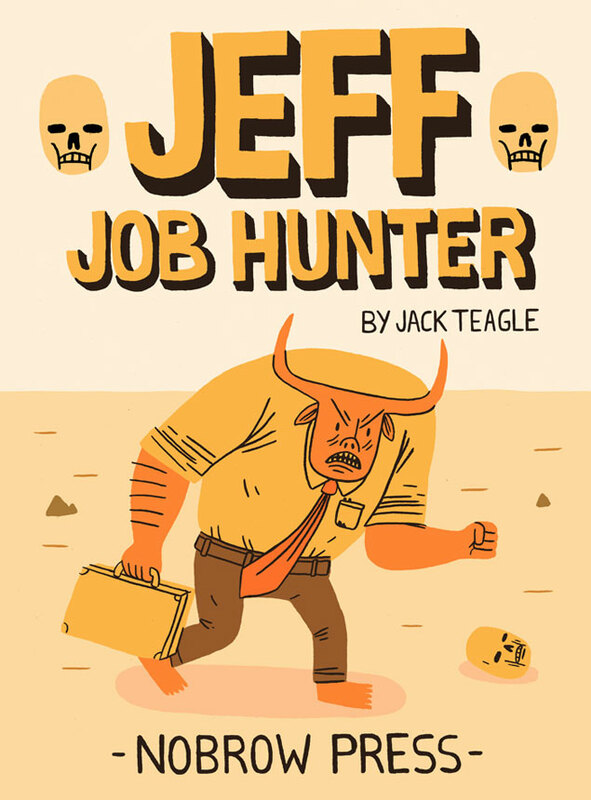 We particularly like Jack Teagle's Jeff: Job Hunter, the story of a man who's forced to retrieve the skull of the half-man half-beast from the dungeon of terror, just so that he can claim his job-seeker's allowance.